Having sprung into life back in 2012, Casumo is the working brand name of Casumo Services Ltd. Pumping out the latest in casino game technology from its headquarters in Malta, Casumo not only holds two iGaming licences, but a presence in multiple European countries. In fact, if you're a slots fan looking for an online experience in your native tongue, Casumo's interface speaks five different languages, including English, Swedish, Norwegian, Finnish and German. No matter where you are in Europe, Casumo has a unique selection of games for you! In addition to developing its own backend software designed to connect its desktop and mobile gaming options, Casumo has formed relationships with many of the top slot game providers. 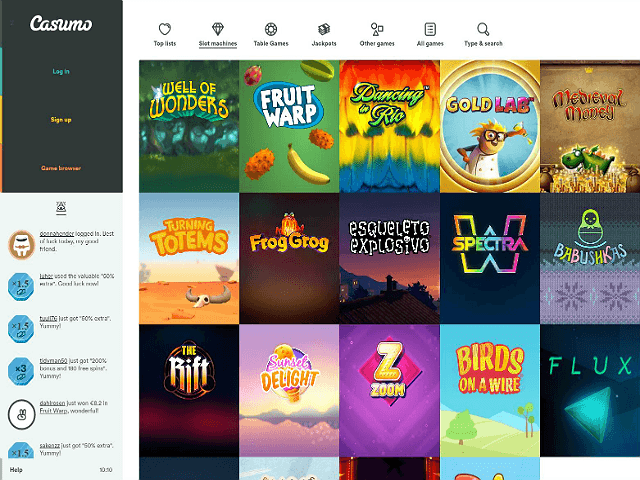 By forging a partnership with developers such as Microgaming and NetEnt, Casumo has been able to put together a slots lobby that's not only diverse, but packed with options for players of all persuasions. Indeed, as part of its mission to offer a more relaxed, entertaining form of online gaming, Casumo has collated software that covers a range of bases. From complex big money spinners and classic fruit machines to the latest video slots, Casumo now boasts a lobby that really does have something for everyone. One of the reasons Casumo offers one of the best user experiences is that its platform has been built using HTML5 Flash. In short, this means the interface is capable of reshaping itself to the contours of its surroundings. 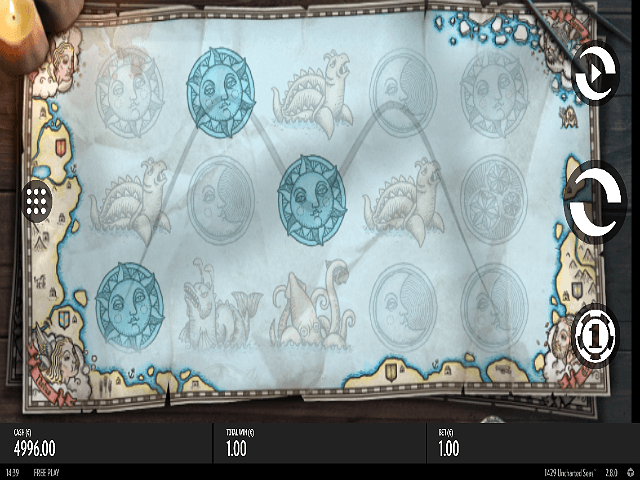 By using a flexible coding language, the usability of Casumo has been markedly increased to the point that the lobby and, importantly, the games maintain their quality regardless of screen size. The other benefit of using HTML5 is that Casumo's desktop interface feels very much like a mobile site. Instead of endless links, menus and tabs, Casumo's slots are stored on a single page so you can scroll through your options with the utmost ease and efficiency. Beyond the overall dynamics of Casumo's navigation, the site offers an impressive slots guide. 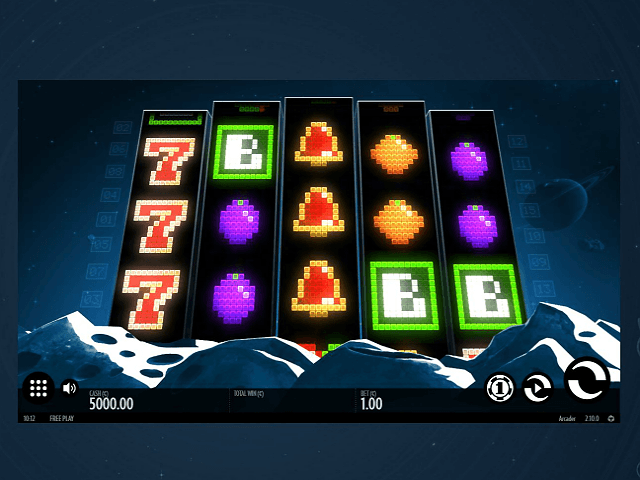 Available via the homepage, this guide not only outlines the main premise of online slots, but gives newbies an in-depth insight into the nuances of the genre. From what a coin is to how payouts work, this guide not only improves a player's overall gameplay, but it ensures everyone can get the most out of the online experience. They say that you can't please all of the people all of the time, but Casumo appears to be intent on proving that theory wrong with its selection of slot games. As part of its drive to "erase boredom" (its corporate mantra), the operator has created one of the most extensive range of slots you'll find online. In fact, if you've got some time on your hands and you want to put this to the test, scroll through its current list of slot titles and compare it to any site out there. By our reckoning, Casumo has in excess of 515 online slot games crammed onto its site. Naturally, that means players of all persuasions should find a game that suits their style. Indeed, it doesn't matter if you're looking for an industry classic like Avalon II, an affordable spinner like Agent Jane Blonde or a big money machine like Mega Fortune, Casumo has everything you'll ever need to keep you occupied. Does Casumo Casino Offer Progressive Jackpot Slots? Just as Casumo has covered all its bases with its general slots selection, it's also made progressive jackpots a priority. Housed in their own little lobby (unsurprisingly called "jackpots"), some of the industry's most famous progressive slots sit alongside other jackpot games, including Caribbean Stud and Joker Poker. However, when it comes to the most impressive payouts, the progressive jackpots stand proud. In fact, as well as being hugely lucrative, Casumo's jackpot slots are affordable. From as little as €0.10 a spin, you can take a shot at a potentially life-changing sum of money on one of 18 games. 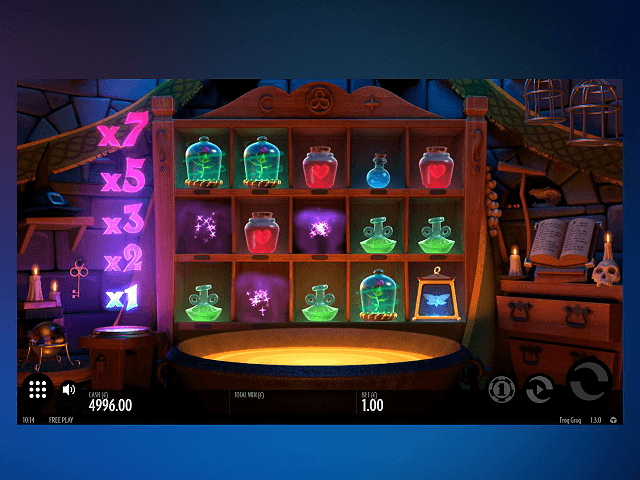 Can Players Demo Casumo Slot Games for Free? With an aim to erase boredom, it would have been a mistake for Casumo not to offer free slots. With so many of the site's features geared towards entertainment, it seems only fitting that every real money game (except progressives) is available in a free play format. Indeed, by anteing up on one of Casumo's demo slots, you'll not only be able to experience the full functionality of each game, but you'll be able to spin without any pressure. Naturally, when there's no pressure, everything is more fun and that, in this instance, is the name of the game. So how do you access these free slot games? Well, once you've created your first account, you'll be able to scroll through the lobby as you would normally and find a game you like the look of. Instead of hitting the "play" button, this time you'll need to choose "play for free". Once you've done this the demo slot will kick into life and you can spin until your heart's content and it won't cost you a penny. One area where Casumo really thrives is in depositing and withdrawing. As the people behind the scenes know that delays in getting your cash can be a real pain in the proverbial, they've ensured that every casino deposit and casino withdrawal is as efficient as possible. As per the site's FAQs, all deposits are instant regardless of the payment methods you choose. Similarly, a withdrawal will be reviewed by the finance department within 23 hours and, once approved, the money will be back on your chosen payment option within three days. To make things even better, Casumo doesn't add any costs or fees to your transactions and the minimum withdrawal request is just €10. The main banking options for deposits and withdrawals at Casumo are: Visa, MasterCard, Skrill, Neteller, Bank Deposit and Paysafecard. When you first join Casumo, you'll be entitled to a casino bonus worth up to €1,200. Split into five parts, this exclusive offer is released in stages, which means it's much easier for novice players to get the most out of this deal. Indeed, instead of having to wager 25x €1,200 within a 30-day period, Casumo breaks things down into smaller chunks so that you can clear smaller amounts in shorter periods of time. On top of this bonus (which is one of the biggest and best in Ireland), Casumo will also give you a special slots bonus. As part of its overall offers and promotions welcome programme, you'll get 200 free spins after you make your first deposit. When it comes to secure, safe gaming options, Casumo has all the right ticks in all the right boxes. In compliance with its gaming licences (from the UK Gambling Commission and Malta Gaming Authority), Casumo not only offers payment options secured by 128-bit encryption, but games certified for fairness by independent bodies such as eCOGRA. In a nutshell, whenever you ante up, Casumo has your back through a combination of regulation, innovation and protection. But what if something goes wrong? In the (rare) event something does happen and you need some support, Casumo has an expert customer support team on standby 24 hours a day, seven days a week. Fluent in a range of languages and capable of handling any and all issues, the support team can be contacted via a live chat widget accessible directly from your account page.